We combined over 20 years of teaching experience into a 5-week course to provide you with the tools to improve the quality of your dancing, strengthen your core muscles and find elegance and power in the embrace – for leaders and followers. Tango Core™ is a unique philosophy developed by Tango Space teachers Naomi West, Pablo Rodriguez and Anne Bertreau. Realising that students needed a more holistic approach to learning than the mere practice of steps, they have developed a unique philosophy of teaching that allows students to use their bodies and minds during the dancing. Developed through years of dancing, it encompasses principles from Feldenkreis, Alexander technique and the Grinberg method to help tango students use all their abilities in their dancing. I’m so glad I bought this wonderful course. It has become the core of my learning. Hats off to Pablo and Naomi for being so clear and precise in their explanations – and the course is beautifully put together. There were many “haha” moments for me, where I finally understood a crucial element of dancing. 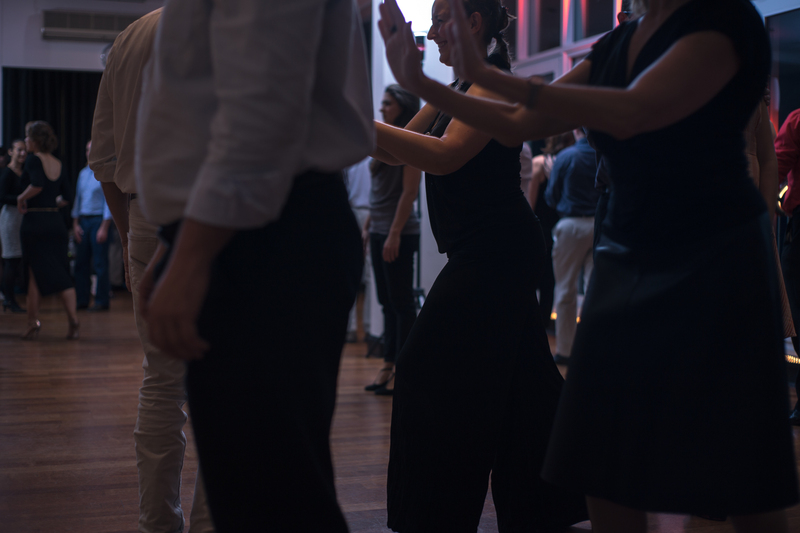 In classes it is easy to miss something: in Tango Core all the steps are precisely broken down so you understand completely how you should be dancing. It’s great to have a thorough and precise resource with all the teaching in one place and be able to always go back to it. I started by watching and listening to the whole course in one go, taking mental notes. Then I watched again and practiced the exercises and steps over the course of 3 to 4 days. It improved my dancing in classes and milongas. Now, after a few weeks I plan to go through the whole course again: I know I will pick up new things. TANGO CORE™ is perfect for the stage of learning we are at. My partner and I have been dancing for a few years and now we focus on taking our tango to the next level. We wanted explanations and exercises that would help improve our precision and flexibility. TANGO CORE™ is full of exercises which are well explained, with clear explanations and vivid images – such as the key shape, or the giraffe… So we can easily work through them during our practice time. I’ve watched the videos many times, and every time I have picked up something different. I woud recommend TANGO CORE™ to people who are serious about their individual practice and willing to take their tango to the next level. An additional way of improving your Tango. After two years of practice with the great Pablo & Naomi amongst others, I was delighted at the news of a new video training. The online course keeps its promise of providing an in depth understanding of the posture, the energy and the mind required during the dancing. Each video is packed with details, so much so that you can continue to watch them and still learn new skills or pick up nuances.And that’s one of the main advantages about video courses, being able to watch from time to time until you get all the details encrusted in your memory. It’s also really convenient to be able to play/pause/replay a challenging sequence of steps until you get it. Several valuable subjects you don’t usually hear about in group classes are also discussed, I especially liked the piece about core muscle and how to maintain a proper posture. Nothing is worth a real class, but having a tool to keep learning at home is a strong benefit! TANGO CORE™ has completely changed my dancing. I wasn’t sure about an online course and bought it only because a friend recommended Pablo and Naomi’s teaching. They are indeed very good at what they do: the explanations are clear and simple. The images they use make it easy to remember what they said when I practice with my partner. I’ve picked up a lot from each video. I can recommend the video on giros the most: It is helpful for women to understand their role in the dancing. In general, Naomi yes a great job explaining women’s technique, and how we can be more musical in our dance. I would say that this course if helpful for both leaders and followers who are willing to challenge they dancing and do individual exercices at home.